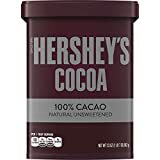 This listing is for unsweetened all natural Cocoa Powder which is used for baking. 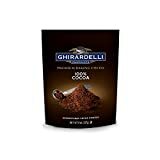 1 Tablespoon is equal to about 5 grams of cocoa powder. This information can be used to calculate how much caffeine is in your favorite chocolate desserts, which use Hershey's cocoa powder. Most cocoa powders will be similar, but cheaper varieties use fillers which would lower the caffeine content slightly. 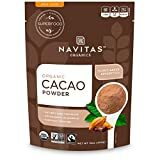 1 Tablespoon of Cocoa powder also has 106mg of theobromine which can also have stimulating properties.